Essays chiefly on the original texts of the Old and New Testaments. 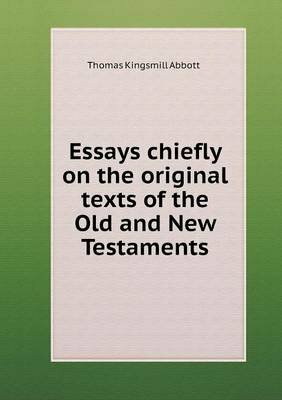 This book, "Essays chiefly on the original texts of the Old and New Testaments," by Thomas Kingsmill Abbott, is a replication of a book originally published before 1891. It has been restored by human beings, page by page, so that you may enjoy it in a form as close to the original as possible.